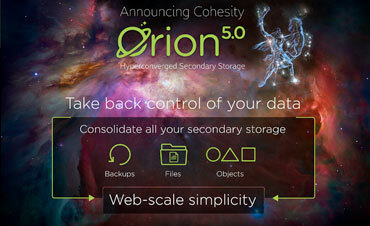 Today, we’re excited to announce Cohesity Orion – our 5.0 software release. 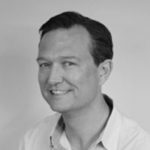 Since the beginning, Cohesity has set out on a mission to redefine secondary storage and enable enterprises to take back control of their data. The Orion release takes us another giant step towards realizing that mission. 1. 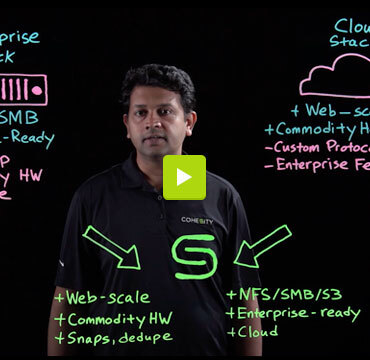 Consolidate secondary storage silos on one web-scale platform. Orion consolidates traditional storage silos including backup software, deduplication appliances, file storage, object storage, and cloud gateway, on a single scale-out platform with best-in-class space efficiency. Cohesity is designed to SCALE to hundreds of nodes to manage large volumes of data efficiently. 2. Deliver data instantly for recovery, test/dev, and analytics. Orion doesn’t just do Copy Data Management, it eliminates the need to make redundant copies of data. Unlike other “backup first” solutions, our patented SnapTree™ technology creates instant clones of any data (backups, files, objects), at scale, to any point-in-time, with no performance impact. It presents that data back to the end-user on fully distributed, high-performance, resilient NFS / SMB / S3 Views to enable applications to directly mount the data for instant recovery, test/dev workflows, and analytics. 3. Build a multicloud data fabric. Orion makes public cloud easy. It provides native integration with all the leading public clouds (Microsoft Azure, Amazon Web Services and Google Cloud) for long-term data retention (CloudArchive) and bursting (CloudTier). Now customers can also deploy Cohesity in the cloud (CloudEdition) to replicate and actively manage cloud data. Customers can automatically bring up data and applications in the cloud for disaster recovery, test/dev, and analytics. Read the Taneja Group Technology Validation Report that confirms near-linear scalability of IO across a massive 256-node cluster (and it would scale far beyond 256 nodes – but we had to stop testing somewhere). 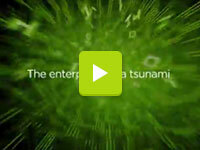 Read the ESG Report that confirms instant recovery of data at scale and to any point-in-time. In this test, ESG tested recovery times while increasing the size of the recovery from 1 VM to 100 VMs. Multiprotocol NFS, SMB and S3 access. Orion provides distributed NFS, SMB and S3 Views. Users can configure Views for multiprotocol access with NFS, SMB, and S3. As you can see, Orion is a very big release. All this innovation is enabled by the underlying file system: Cohesity SpanFS. SpanFS has been designed from scratch to consolidate secondary storage. It’s the only file system in the industry that simultaneously provides distributed NFS, SMB and S3 interfaces, global deduplication, and unlimited snaps and clones, on a web-scale platform. And it includes SnapTree, a distributed metadata structure based on B+ tree concepts. SnapTree delivers unlimited, frequent snapshots with no performance degradation. There is no other file system in the industry that combines the attributes of SpanFS and SnapTree. This is the technical foundation that makes web-scale secondary storage possible, and enables you to take back control of your data. Now, let’s go bust some storage silos together with Orion 5.0. This is much more than just backup technology!